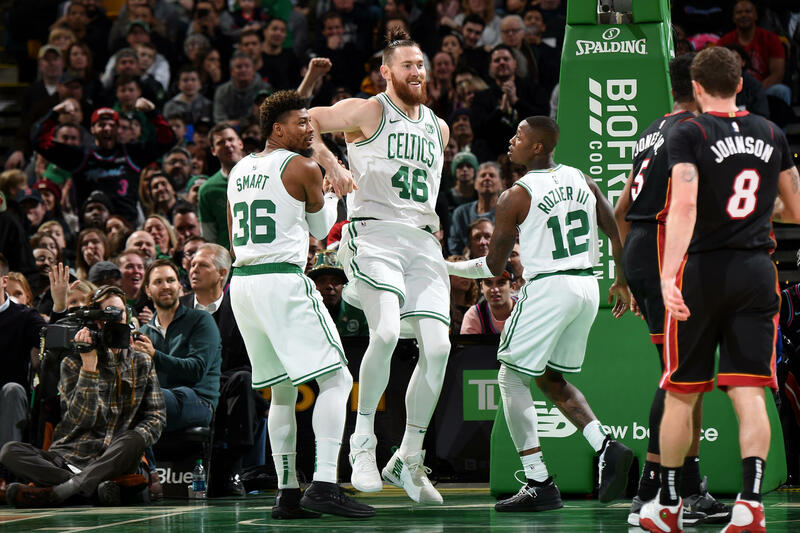 No, Aron Baynes is not a high-volume scorer, and he doesn't have much of a shot from any distance - but he does everything else well - knows, and performs, his role - and hardly ever complains. He is the only big, bruising center on the roster, being listed at 6'10" and 260 pounds. And the Celtics have won four-in-a-row since his return from a hand injury. Baynes averaged 16.9 minutes/game for the 4-game span, so that begs the question - Why doesn't he get more minutes? His only real weakness is his outside shooting. He shoots 46.3% from the field and is accurate on free throws. There is no worry about his free throw shooting at the end of close games. He is also a solid rebounder and defender. The numbers show Baynes-ey needs to be on the floor for more minutes, and he passes the eye test. He can bully opponents down low and defend the perimeter. Aron is one of the very best backup centers in the NBA, and as Brad Stevens stated, "Everybody benefits from Aron Baynes."